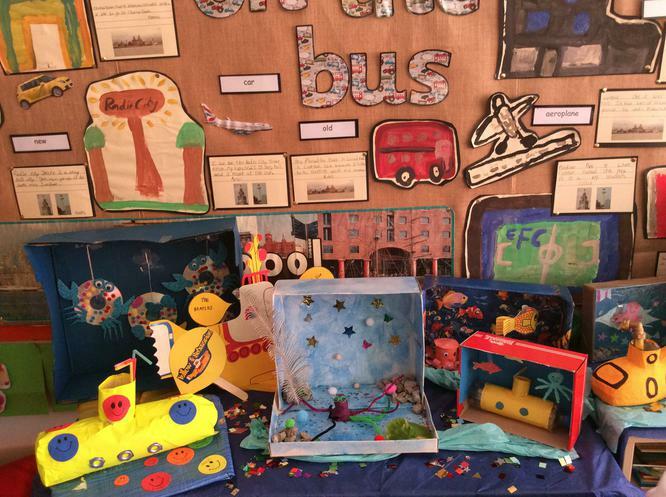 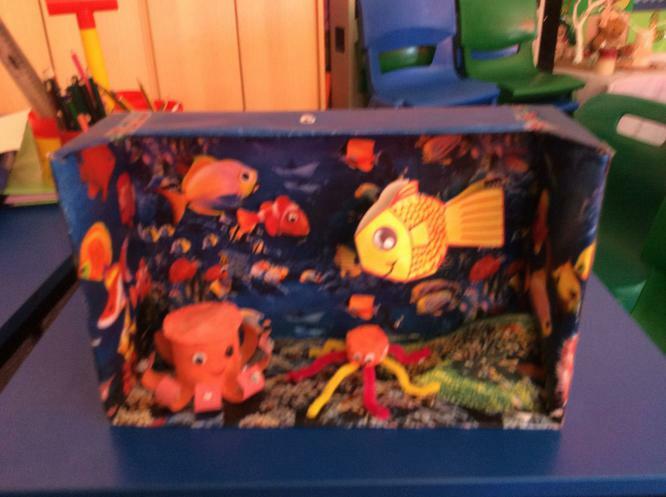 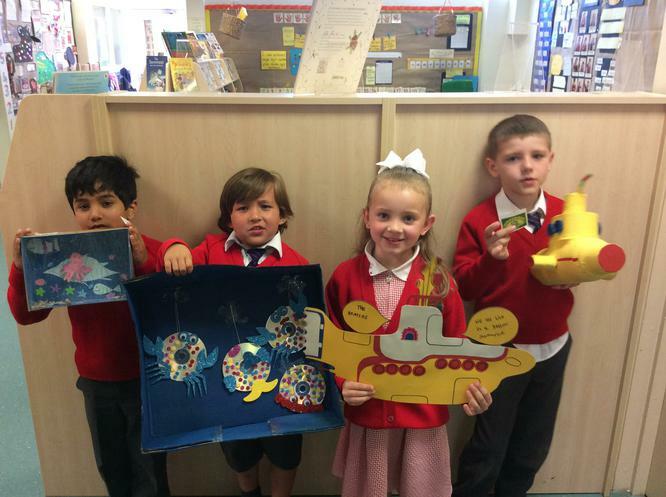 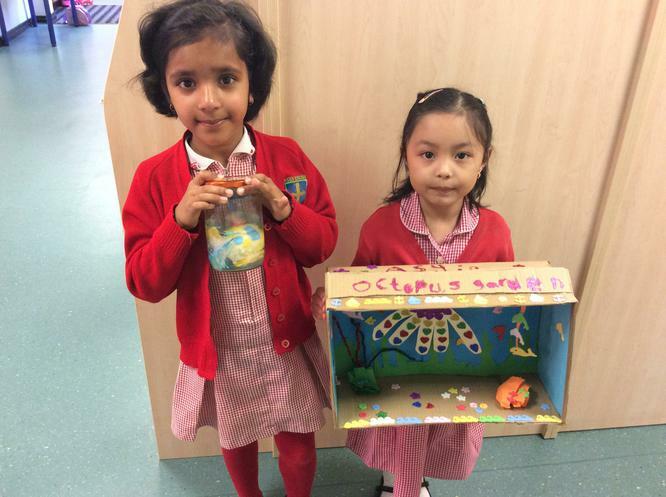 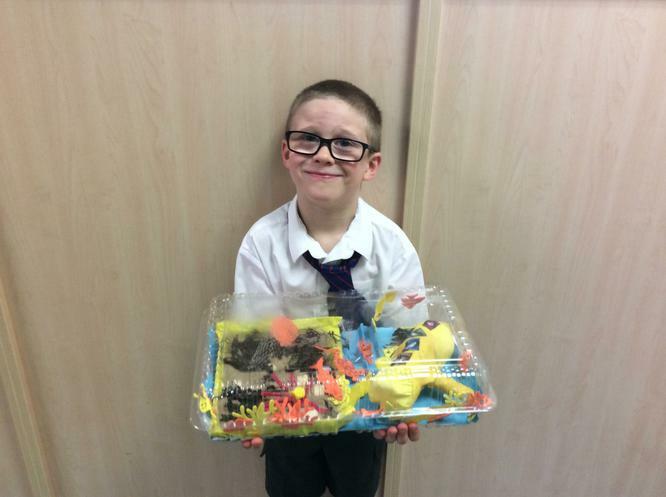 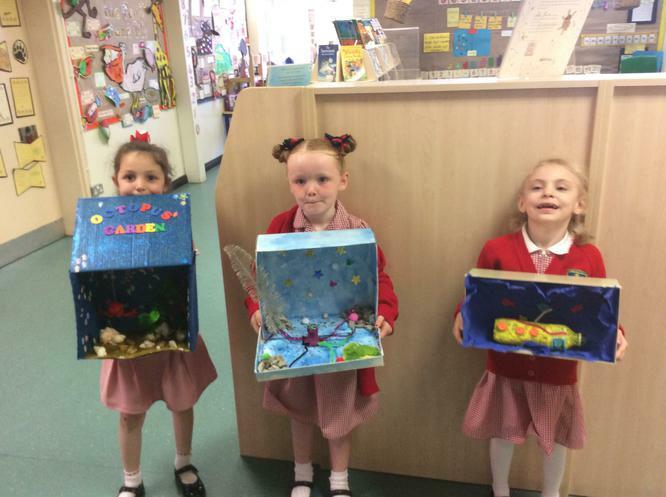 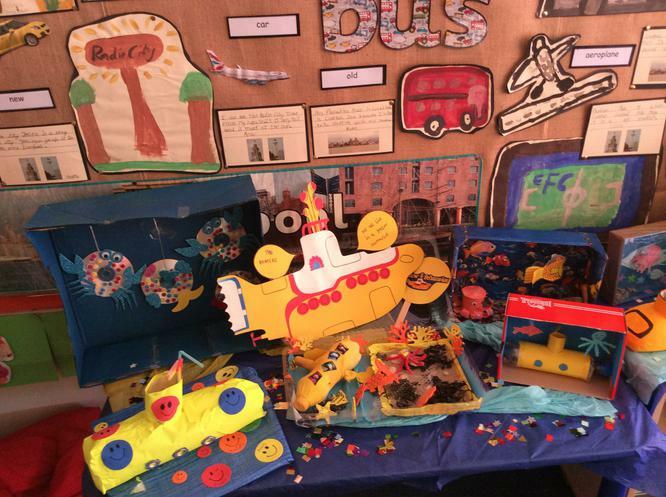 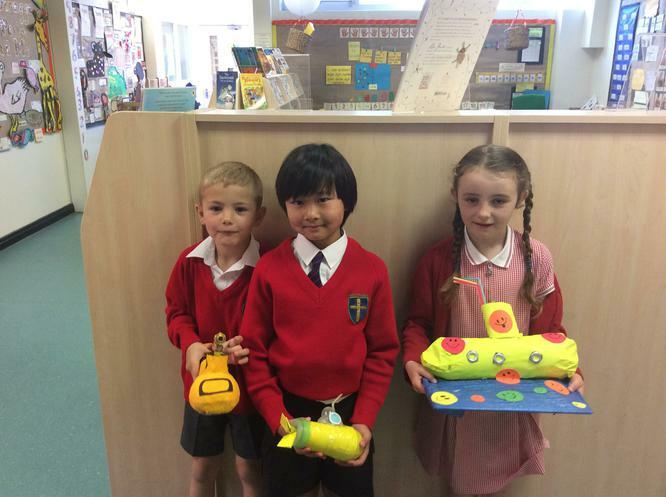 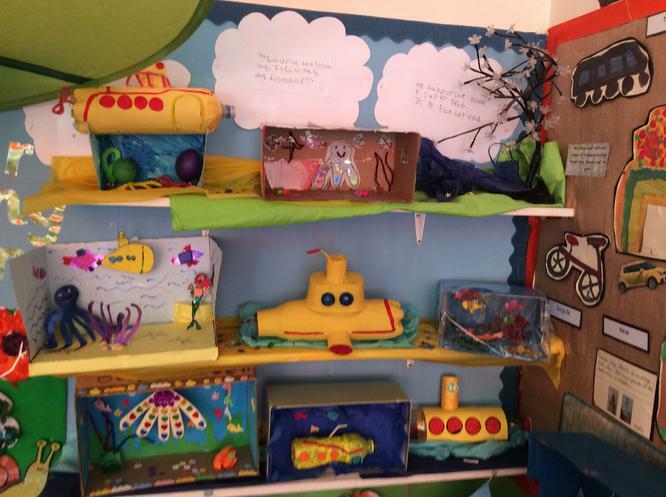 We were set a homework challenge to create our very own yellow submarines or octopus gardens. 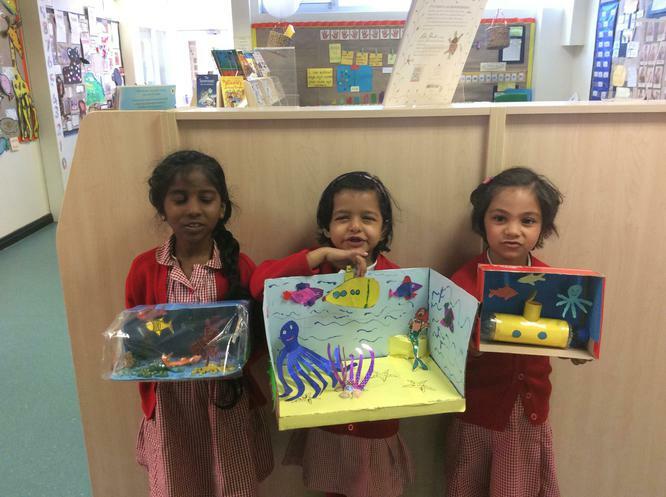 Look at some of the fantastic and amazing pieces of artwork we have created! 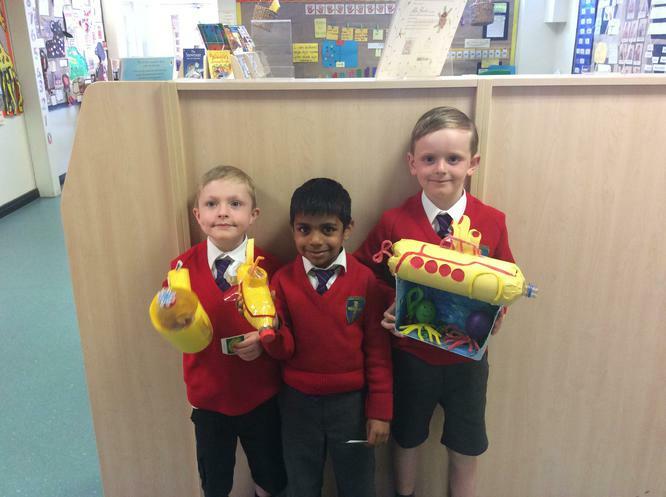 We had lots of fun and even the grown ups enjoyed helping us to create our very own yellow submarines and octopus gardens!